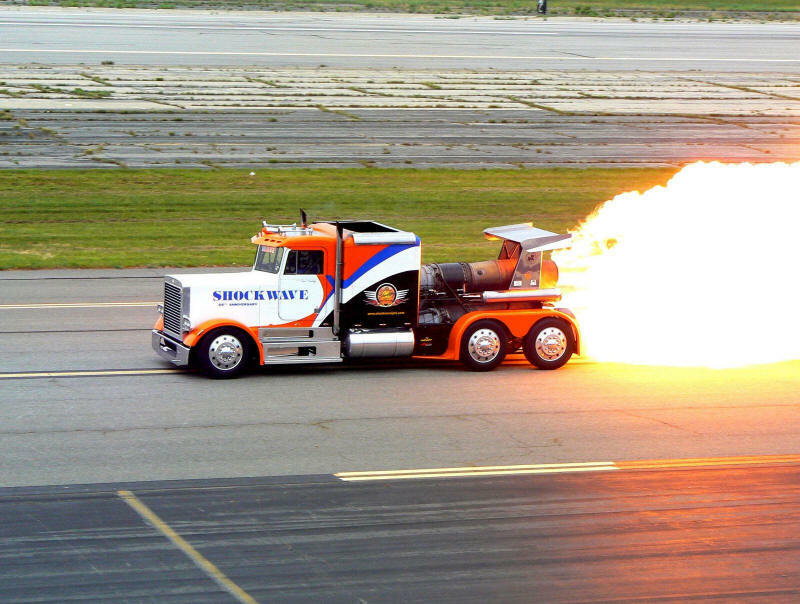 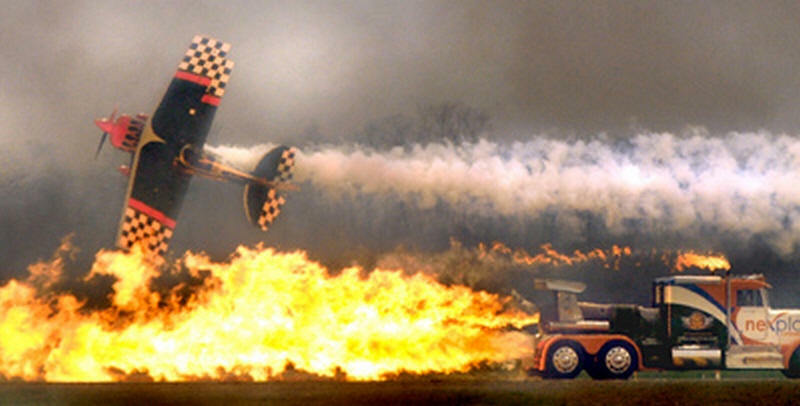 Triple Engine ShockWave Jet Truck travels more than 300 miles per hour. 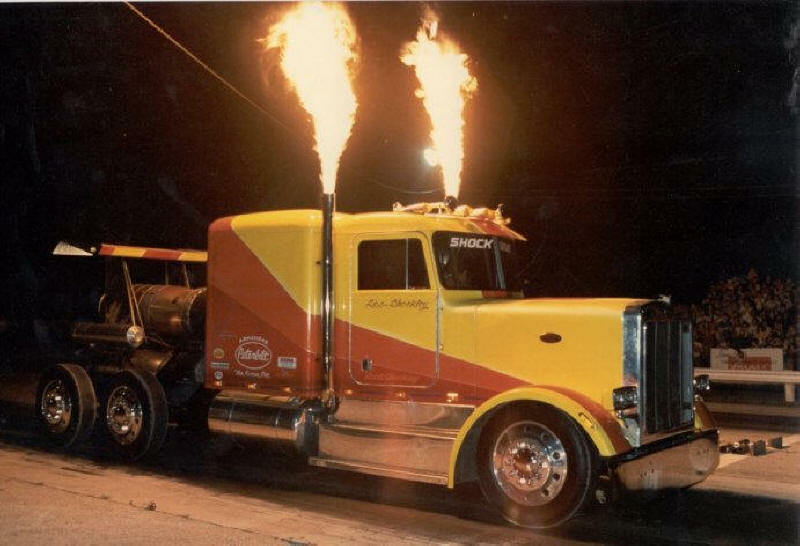 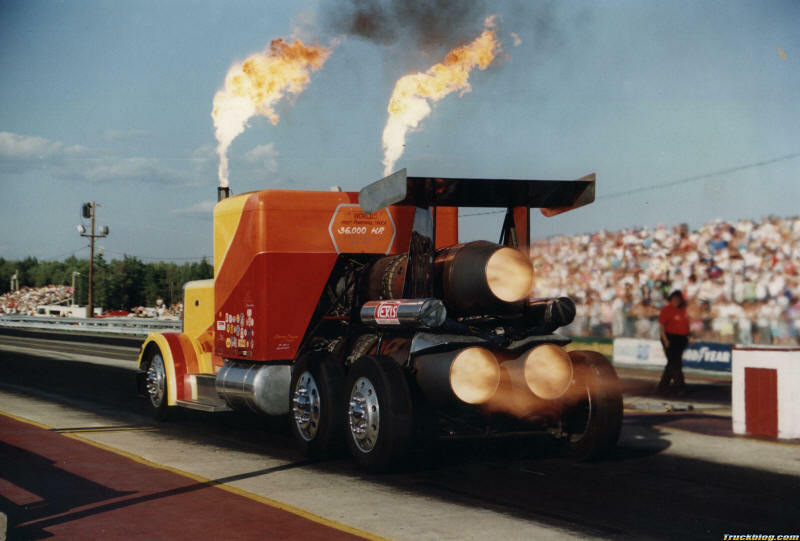 It holds the world record in a quarter mile for trucks at 256 miles per hour in just 6.36 seconds. 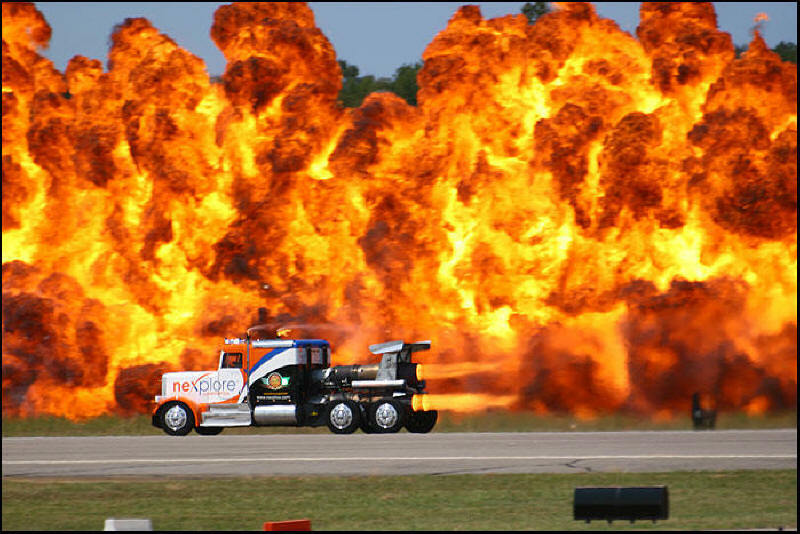 It holds the Guinness world record for full size trucks at 376 miles per hour. 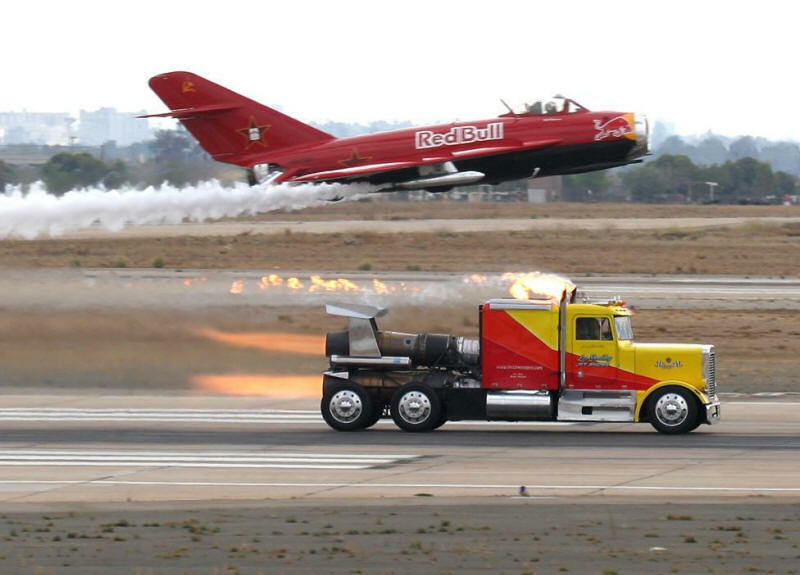 At 36,000 horsepower, the ShockWave with it's 3 Pratt & Whitney jet engines has enough power to accelerate with 3 Gs of vertical thrust which is as much as the Space Shuttle.